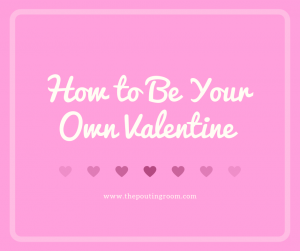 Whether you’re single or coupled up, Valentine’s Day should be about loving yourself as well as others. Snag an appointment for a massage or facial at your favorite spa and feel your stress melt away. Why not go all out this Valentine’s Day and make it a full spa day? If you’ve had your eye on a nice bag, dress or pair of shoes, why not buy it this Valentine’s? Even if it’s a bit of a splurge, you deserve it. On a budget? You can still give yourself a special gift, like a magazine subscription or a few fun nail polishes. If lunch is usually a quick salad on the go, do something different today. Take a long lunch, savor every bite and maybe even order a glass of wine. Cheers to you! When’s the last time you looked in the mirror and expressed self-love? Silence the self-critical voice and love yourself exactly as you are. Buy a Valentine’s Day card and write a loving message to yourself. What are you proud of? What do you appreciate about yourself? Today’s the perfect day to acknowledge how amazing you are. Celebrate your unique beauty and give yourself a keepsake for years to come by booking a boudoir photo shoot at The Pouting Room. Give us a call at 508-603-1163 to find out more!